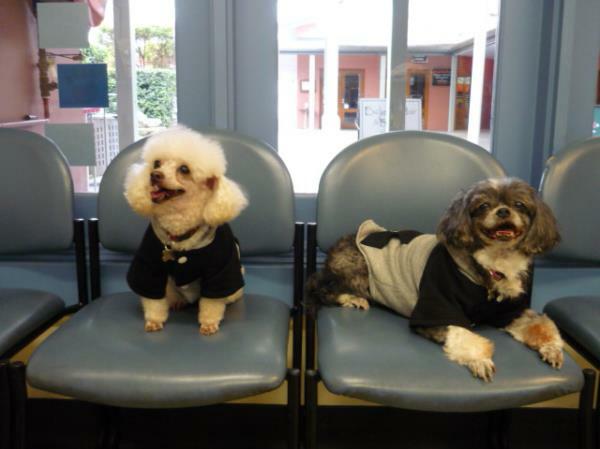 The veterinary surgery is clean and modern and designed to provide a happy and sophisticated environment to make you and your pet feel welcome. 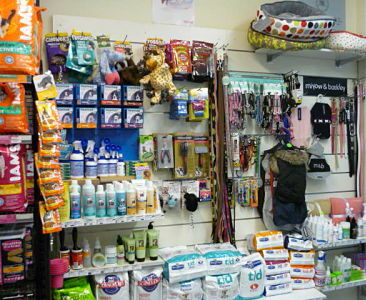 Our waiting room is stocked with a wide selection of products which can help you care for your pet. These include flea and tick prevention products, shampoos, premium quality pet foos, toys, collars, leads and much more. Also located upstairs are two consulting rooms where your pet will be examined by one of our caring vets. For the majority of the vets visits this will be all that you see of the veterinary surgery, however there is a lot more in our downstairs area. Downstairs we have a large and well equipped surgical operating theatre for major surgeries. There is a spacious treatment area where we perform minor procedures. Your pet's happiness and wellbeing is important to us, thus we have a separate dog and cat hospital wards in which to look after your pets when they are unwell. There is a desginated radiology room with a high power digital x-ray machine. Our laboratory facilities include a pathology machine for carrying out blood tests while your pet is in hospital and a microscope and centrifuge for further investigations. We also have two state of the art anaesthetic machines, pulse oximeter and blood pressure monitoring machines to ensure that all anaesthetics are safe and smooth. Additional facilities include a endoscopy unit, dentistry equipment, diathermy unit, ECG machine and a wide variety of surgical instruments.